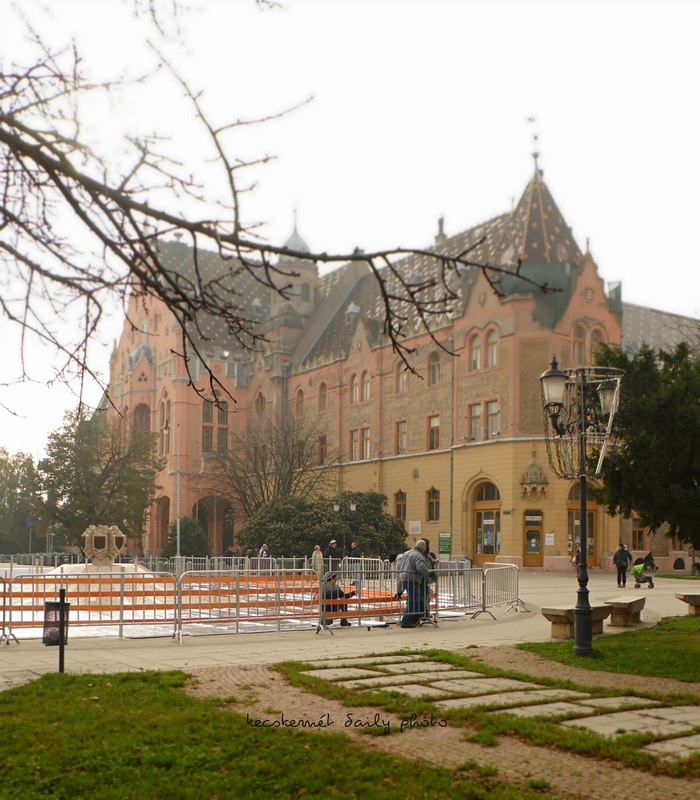 Kecskemét in photos, Hungary: #321/365 Ice skating rink? Since yesterday morning, these men have been slowly building something at the "zero metre" mark. Today we were there again to have a closer inspection. Still no clue; but judging from the materials, my guess was it's going to be an ice skating rink for the winter season. My husband has his doubt.. As usual in such situation, we normally ended up with a bet of who wins the correct guess. Let's hope I win the 6 euros!